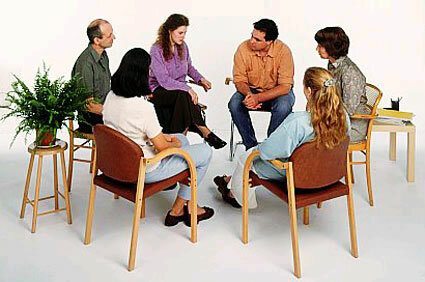 Group Therapy | Christine Kieffer, Ph.D.
For those who are interested in improving their relationships, in both their personal and professional lives: participants will have opportunities to gain increased understanding of how others perceive them and to develop greater confidence and skill in relating to others. Some issues for which group treatment is particularly beneficial include shyness, inhibitions in asserting oneself, reducing social isolation, developing skills in forming and maintaining intimate friendships and romantic attachments. Chicago Loop office, Wednesday evenings 5:30-7 p.m.
For parents who are interested in support and insight as they raise their children: Becoming a parent is a challenging role that requires us to develop our personal resources in new ways. This group will help participants to develop insight and skills to help them feel more assured and effective as parents. Dr. Kieffer is a board certified (ABPP) group psychotherapist, and also a Fellow of the American Group Psychotherapy Association (FAGPA). In addition to conducting therapy groups, she also trains group therapists and has written numerous papers on this topic for professional journals. For more information about how Group Psychotherapy works and who might benefit, click here.